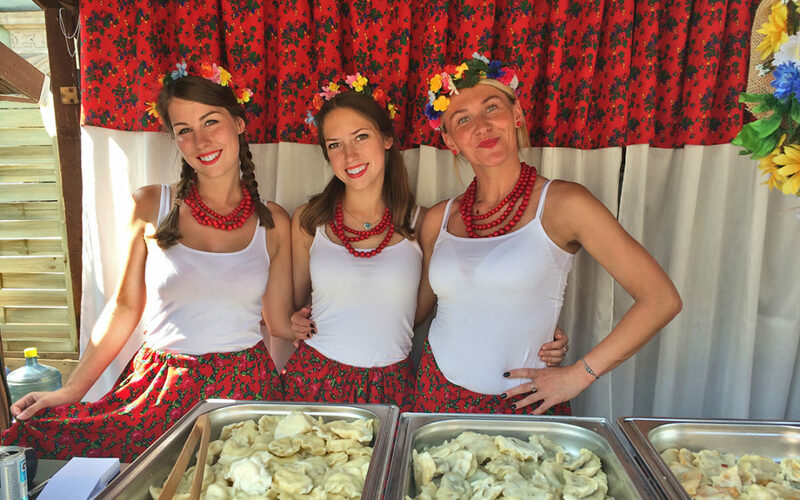 This August 2017, once again Poland Culinary Vacations guests enjoyed all kinds of pierogi during the annual Pierogi Festival in Krakow. Pierogi with duck and morels and St. Martha’s pierogi – with smoked meat with herbs – won first place in the best pierogi contest awarded by the professionals and the public. During the festival, the winner of best pierogi, selected by the professionals, received the statue of St. Jack with Pierogi. The winner of best pierogi selected by the public received the statue of beloved Polish King Casimir the Great! This year, the wondering statue of St. Jack with Pierogi awarded by the professionals received Krakow’s restaurant “Sekret Smaku”, which made the winning pierogi with duck and morels. This was their second time at the festival so, they were very happy to win. Restaurant “Polskie Smaki” which prepared St. Martha’s pierogi with cherry wood smoked meat and herbs such as: garlic, cilantro and thyme among other spices, was awarded first place by the public and received the wondering statue of King Casimir the Great. This has been their fifth award at the Pierogi Festival and they have been participating for the past eight years. 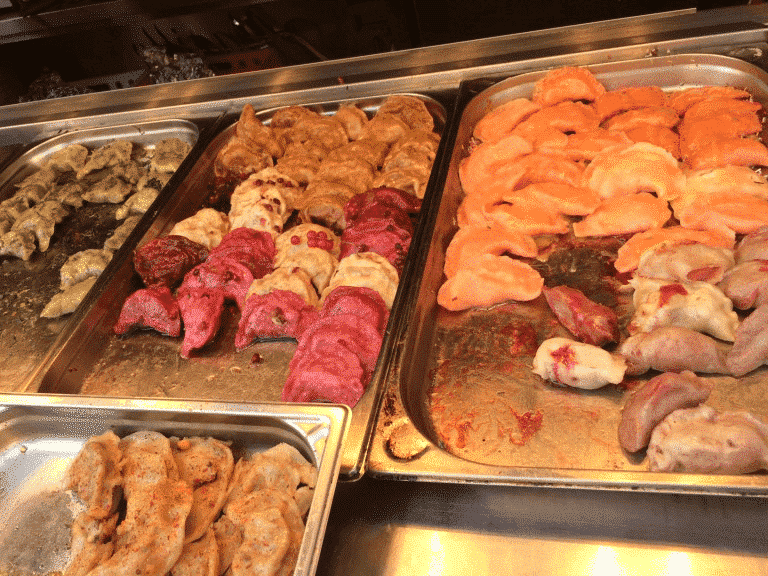 During the five day festival at various booths located on Small Market Square, Krakow’s restaurateurs offered all kinds of pierogi, for example: pierogi with chicken and spinach, three-cheese pierogi, pierogi with salmon, with spinach, with cheese and plums. There were also pierogi with elk meat and mushrooms, meat and onions, lentil, mushrooms and smoked cheese. Pierogi were offered boiled, baked and fried and tasted great with Tyskie beer on tap! Join us in August 2018 on XVI Pierogi Festival and “Cooking Your Way From Krakow to Zakopane” culinary and cultural vacation in Malopolska region of Poland. Smacznego! Na zdrowie!